Water is a precious natural resource, why not conserve it whenever we can? There are many little tips to keep your water consumption to a minimum but which systems can you implement in your Calgary Custom Home to maximize water efficiency? Low-flow fixtures like faucets, shower heads, and commodes are the most commonly thought of ways to limit water consumption, but there are many other ways to conserve water in and around your home. Rainwater collection and harvesting systems collect rain water for irrigation needs. Barrels are located near downspouts and placed on concrete blocks or flagstones. Downspout diverters are connected to the barrels to prevent overflow by directing rainwater back into the downspout once the barrels are full. Barrels can be installed under each downspout or several can be connected to the same downspout. In a typical home water heating system, the hot water in the supply pipes cools down once faucets are turned off. A hot water system that incorporates a hot water loop keeps water circulating between your water heater and faucets, keeping hot water continuously available. A system that incorporates a hot-water loop uses slightly more energy; however, the three systems listed below conserve water because water doesn’t run down the drain while you’re waiting for hot water to reach your faucets. In the first system, a small pump is installed to the hot water supply line at the faucet farthest away from the water heater to create a loop of continuously available hot water. Set for the time(s) you use the most hot water, a timer starts the pump and draws hot water through the line. A check valve connects to the discharge from the pump, preventing cold water from flowing back into the system. A temperature-sensitive switch shuts off the pump when hot water circulates around the loop and back to the pump. Controlled using a timer and/or a temperature sensitive switch, the second way to create a hot water loop is with a pump and dedicated return-line installed before the cold water inlet at the water heater itself. A check valve prevents cold water from being drawn back into the system whenever hot water is in use. If your points of hot water use are higher in elevation than your water heater, a third way to create a hot water loop is by using convection to keep hot water continuously available. Since cold water is denser it naturally flows down a dedicated return-line to the water heater, while hot water continuously rises in your supply line. A check valve prevents cold water from moving backward through the system whenever hot water is in use. A household gray water reclamation system conserves water, lowers water and sewage bills, and can lower your overall water consumption by 30 to 50 percent. 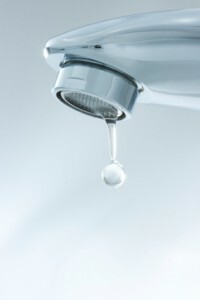 Water from the faucets in your Calgary Custom Home is normally thought of as clean water, or white water. Water that leaves your home as sewage is normally considered black water. However, gray water comes from showers, laundry, or washing your hands. Water that normally runs down the drain can be reclaimed and reused for irrigation purposes. The average household uses about 1,060 liters of water a day. Up to half of that can be considered gray water. Gray water contains nutrients from soaps, such as nitrogen and phosphorous, that sustains plants and recharges topsoil. You don’t need to use drinkable water for landscaping when gray water will nourish your lawn, shrubs, and other plants. There are upkeep costs to avoid the risk of pollution and contamination and gray water should always be kept away from children and pets. While gray water is not considered sanitary, it isn’t toxic either, and is normally free of disease. A gray water system for your Calgary Custom Home not only reuses water, it uses nutrients that would otherwise be wasted.